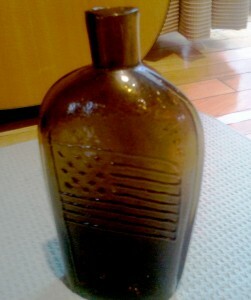 The business side of the flask, showing the large, embossed 13-star flag. 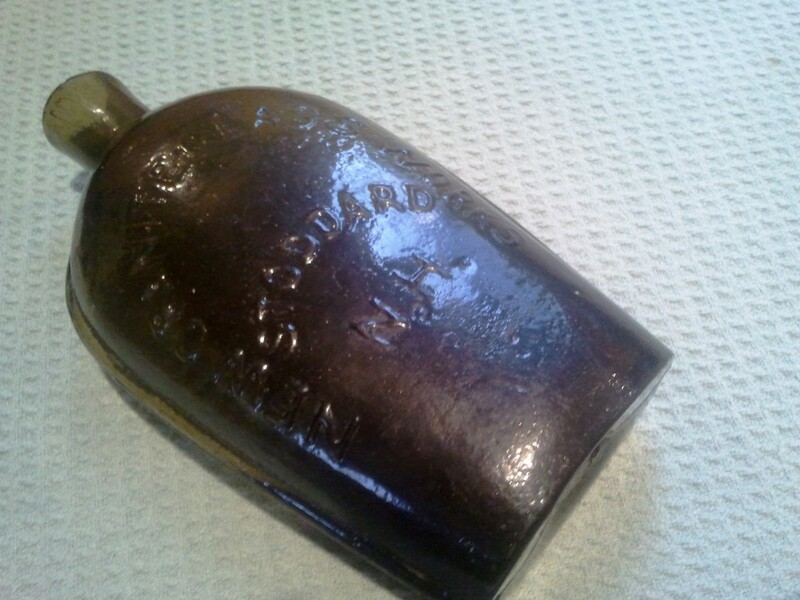 The value of this rarity—known as a Stoddard Flag flasks—ranges from about $12,000 to $20,000, with a similar example selling early late last year for more than $14,000. This flag flask shard was recovered several years ago, and even in its broken form, it would be the centerpiece for many collectors—that’s how rare it is. 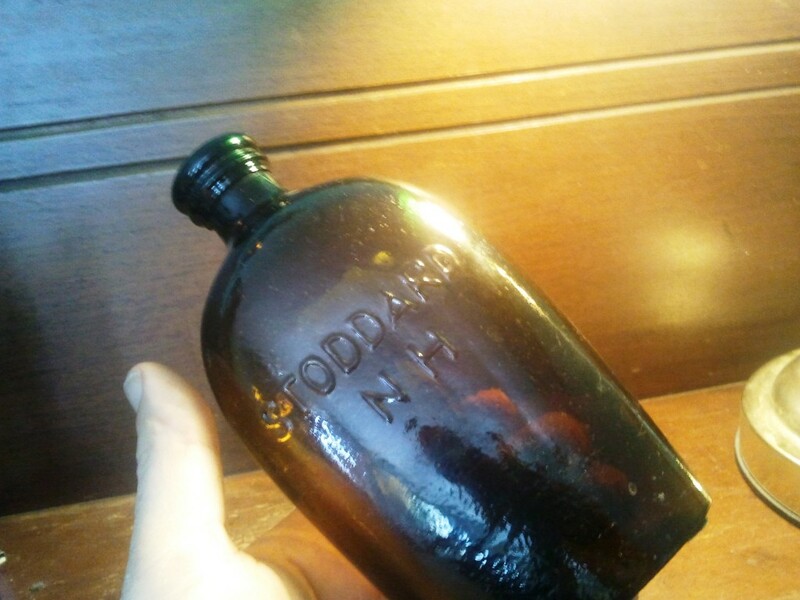 This is a flask I dug myself years ago, and to me, it is now a family heirloom. Its value is between $700 and $1,400. 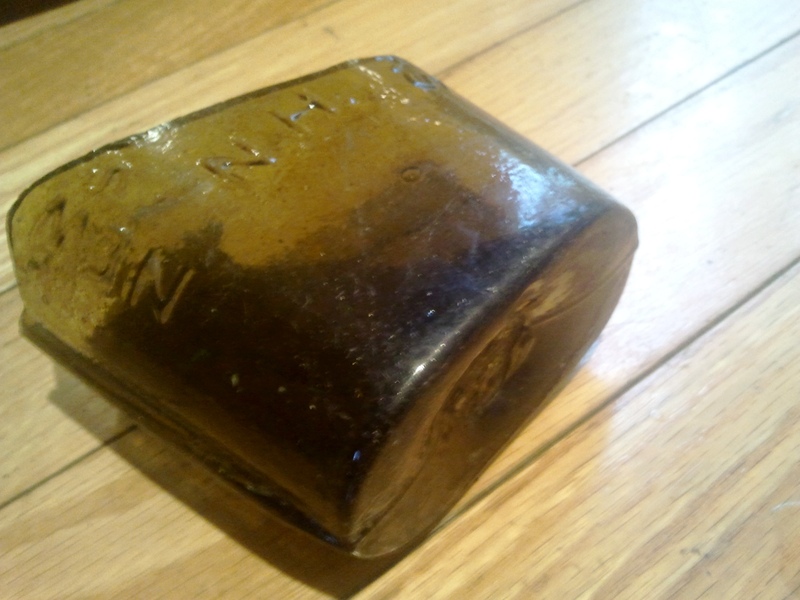 It is referred to as a “lettered Stoddard flask” and reads “Granite Glass Co. Stoddard, NH.” During the 1860s and ’70s, the early glass manufacturers in Stoddard N.H., crafted some of the most highly sought-after American-made glass bottles. They are mostly utilitarian in nature, and their beauty and history make them some of the most researched and prized bottles ever blown in the U.S. Similar flasks of the same period shown on the left and right of the Stoddard Flask. 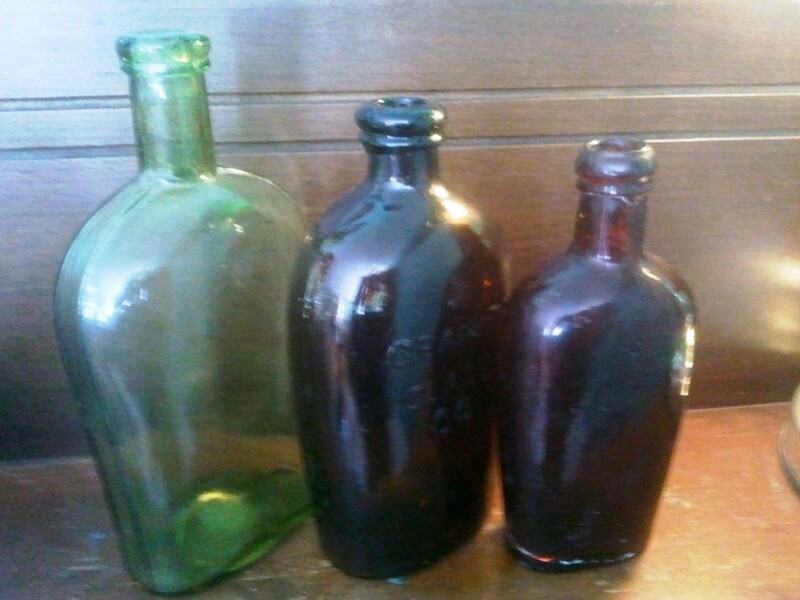 The citron-colored flask on the left was blown at the Lyndeboro Glass works, also in N.H. It has “strap sides,” which indicates that it was made a bit later, closer to the 1880s. On the right is a red amber half-pint flask, probably also a Stoddard made piece.